On the path toward accrual accounting governments have a free choice to decide on a usage of International Public Sector Accounting Standards (IPSAS). Many global studies and researches speak in favor of IPSAS adoption or their influence on designing the national accounting rules. Training will introduce how IPSAS is linked to accrual accounting and how it contributes to a better transparency, accountability and efficiency of a government. Selected accounting standards, relevant for regional environment, will be in focus of the training course. This learning initiative is part of certification training project delivered in Montenegro for the third generation of public sector accountants (PACT). Training will combine theory with practice, international with regional and local aspect, giving participants insight into international practice, recommendations from the regional success stories and overview of challenges and opportunities in the local environment. At the end of the training, participants will be awarded IPSAS certificate by The Charted Institute of Public Finance and Accountancy (CIPFA). Sessions delivered by CIPFA expert will focus on knowledge and expertise and they will be interactive. Trainer will explain the objectives, requirements and application of the IPSAS with examples, case studies and quizzes. Participants will have the opportunity to hear successful stories of various regional countries, which will showcase approaches of moving toward accrual-based accounting and application of IPSAS. Montenegrin Treasury will present the status of accounting reform in Montenegro and discussion among panelists will evolve to address the most relevant issues of the reform process and to offer recommendations from practice. Participants will have the opportunity to question the experts. On the last day of the training participants will work with their peer-colleagues in smaller groups to address selected IPSAS and discuss challenges, boundaries and opportunities of their application in the regional and local environment. Working groups with participants from Montenegro will be facilitated by five Montenegrin experts, who delivered in-class trainings within certification program for public sector accountants in Montenegro (PACT). Working groups with participants from other countries will be facilitated by Croatian expert on the topic Property, Plant and Equipment. Training materials and simultaneous translation (English-Montenegrin-English) will be provided. Training will be highly participatory and participants will be encouraged to share their experience and country practices. The learning initiative will bring together selected PACT certified accountants in public sector of Montenegro and will give the opportunity for participation to a limited number of representatives from ministries of finance and line ministries from CEF constituency. Dr Stewart Macleod is a member of the UK Chartered Institute of Public Finance and Accountancy (CIPFA), and has over 20 years’ experience in public finance training and consultancy. He has worked on a number of international projects, funded by EU, World Bank, UK DFID and other institutions, and was a member of the CIPFA team who introduced the PACT education program in the South East Europe. Experience in the region includes work in Slovenia, Serbia, Kosovo and Albania. He has also recently worked with the World Bank and DFID providing technical assistance on the introduction of IPSAS to states in Nigeria. 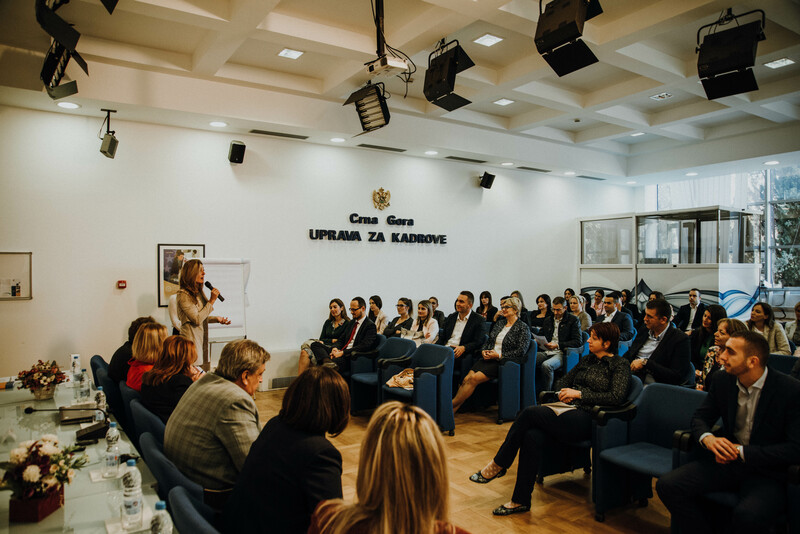 This learning initiative is financially supported by the Ministry of Finance of the Slovak Republic, and the Slovene Ministry of Foreign Affairs through Slovenia's International Development Cooperation. The Ministry of Finance of Montenegro and the CEF will provide in-kind support to the project.